St Francis Links is a truly mystical destination, whether you play the course or just visit for the incredible views it is beyond doubt, one of South Africa’s most breathtaking courses. 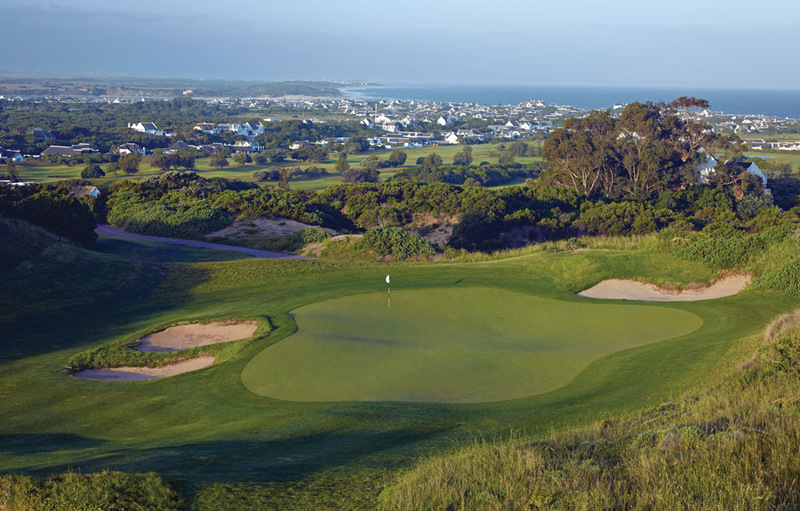 In true links tradition, the St Francis Links course emerges from the natural landscape in a series of undulating fairways, rugged bunkers and luscious greens, all born from the natural movement of the land. Invoking the spirit of centuries old courses in Scotland and Ireland, St Francis Links is a must play course for the golfer who reveres the history and tradition and embraces the challenges of the glorious game. St Francis Links is currently rated the number 8 best course in South Africa by Golf Digest (2014) and is also ranked 15th out of 25 of the country’s Best Conditioned Courses. 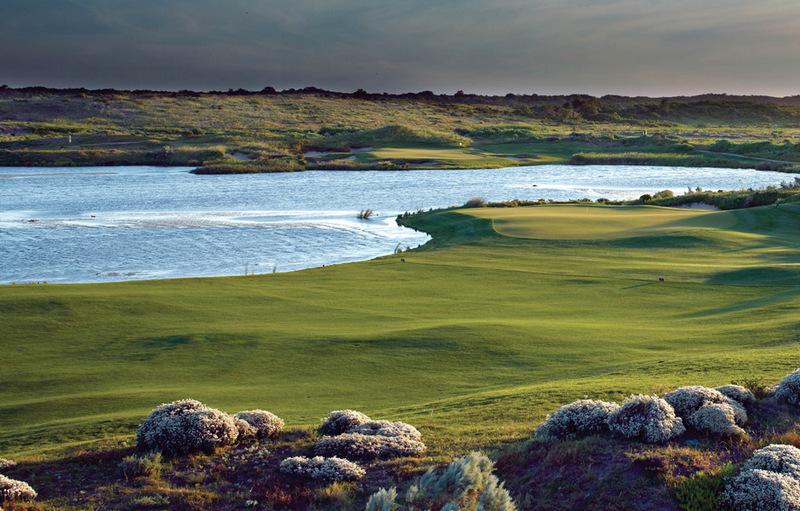 The course has 18 signature holes designed by golfing legend Jack Nicklaus. 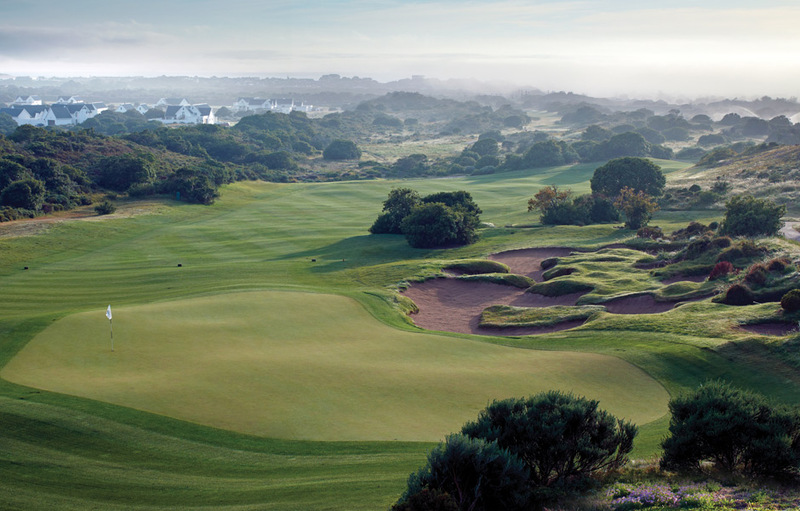 The Par-four 5th Hole, known as “Braveheart” will enthral those early rising golfers as they experience the suns first rays as they dance across the dunes, crossing the fairways and caressing the soft pink heath. On this awe-inspiring hole, you can play it safe with a long-iron or fairway club, or chose to be brave and swing your driver. St Francis Links prides itself on the purity of its course. At 416 meters, the par-four 9th hole named “Pure” is the longest par-four on the front nine and calls for distance and strategic course management. Bunkers guard the green which runs away from you from left to right. “Illusion” is the 12th hole on the course. A par-four, with the green hidden in the dunes, Illusion adds a little mystery to the game as it climbs the hillside to meet the welcoming sky. With good distance control on your second shot, you should be rewarded with a birdie. At 495 meters, “Bear Claws”, a stroke 16, par 5 is named for the Golden Bear himself. This majestic 13th hole has been chosen by many as their favourite at St Francis Links. The 46 meter wetland sanctuary running up this and the next few holes is home to a variety of birdlife and a catchment for any wayward shots. Staying left initially and then moving right on your second shot might conjure up a birdie or eagle for the golfer who is not afraid to take up the challenge. On the par-three 14th hole you’ll often hear cries of “Get Up” as players urge the ball forward in its climb against the prevailing winds. St Francis Links is a spectacular course whose layout calls for every element of shot making. Golfers will continue to feel the pull of this course for years to come as she calls them back to walk her fairways once more. The St Francis Links Clubhouse overlooks the magnificent course and is geared towards restful relaxation after a challenging round. Enjoy a cup of tea in one of two lounges, or enjoy something stronger at Jack’s Bar. The Lighthouse Restaurant is a warm family restaurant with an extravagant three-course menu prepared under the watchful eye of Executive Chef, Bradley Castle. Jack’s Bar is a tribute to the greatest player of all time Mr. Nicklaus. The 19th hole is the perfect place to share memories from your day on the links or to admire the memorabilia that reflects his illustrious career. The friendly and efficient Pro Shop staff will assist you to select from top brands like Cutter & Buck, Ahead, Rhode Island and Annika in clothing and the latest Mizuno Equipment. Everything you require to dress & play the part will be on hand 7 am daily/365 days per year. St Francis Link’s practice area offers golfers more than 1000 square meters of practice pleasure. Their 280 meter driving range features twenty hitting bays, and there are practice bunkers, putting greens and target areas where golfers can hone their skills. Golf tuition is also available with their experienced PGA Team. “Well they don’t call me Santa Claus(e) for nothing. There is only one difference between the jolly man in the red suit and the ‘fuller- figured’ one living in St Francis Bay - at St Francis Links where this ‘Santa’ resides, we give presents all year round! 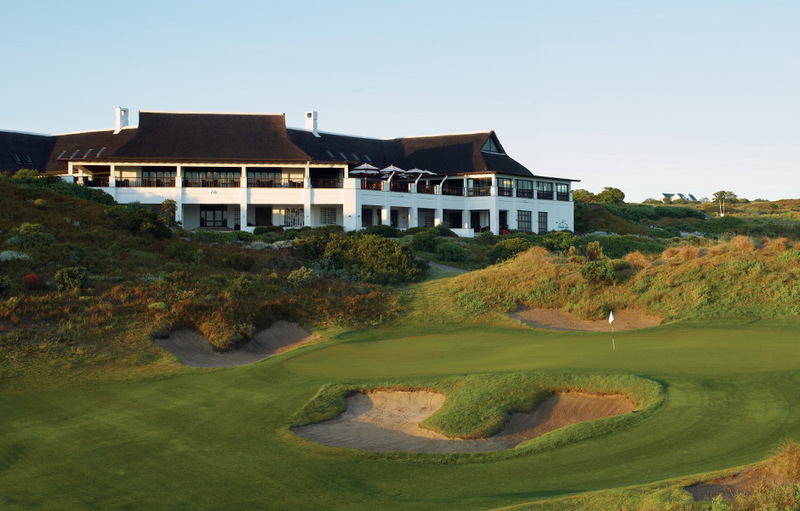 St Francis Links is, one of South African golf’s greatest gifts for the enthusiastic and discerning golfer. 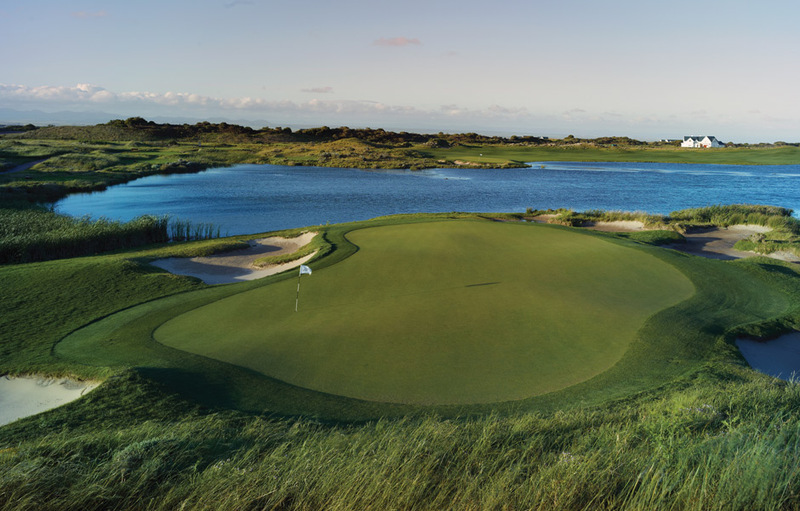 A stay on the estate and a couple of days of golf will be complemented by the anticipating service of the Links Team, amazing beauty provided by Mother Nature and Jack Nicklaus, and a golfing treat that can only be described as memorable from the first unique hole to the last. 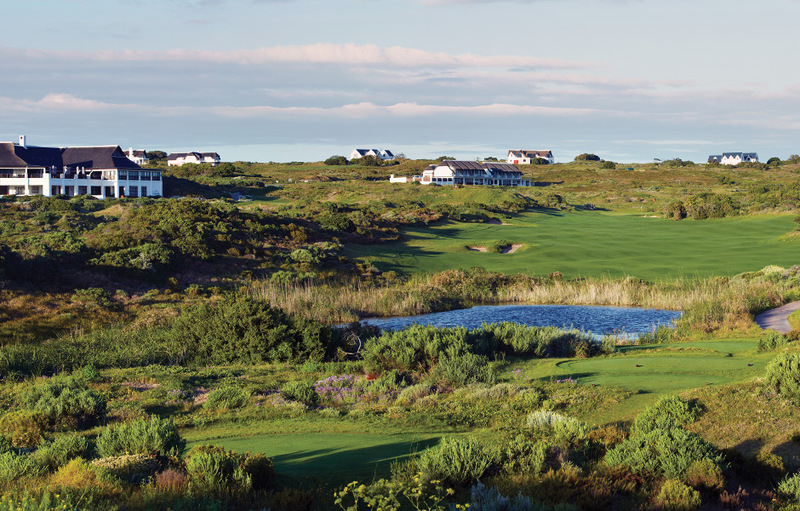 St Francis Links, located in the dunes above St Francis Bay is also close enough to the Eastern Cape’s best game reserves and, of course, malaria-free game viewing. You will be watching the amazing birdlife in the morning and making your own ‘birdies’ in the afternoon. The Eastern Cape, now known as the Adventure Province offers even more for the enthusiastic traveller. After the golf and the safari, remember to take a walk down the Cape St Francis Beach or cycle the trails by the sea. Jeff Clause, CEO at St Francis Links was born, raised and educated in America. He came to SA as the first PGA Golf Director at Fancourt in 1991. In 20 years, he has served on the Board of the PGA, been named SA PGA Professional twice and International Professional of the Year by the PGA’s of Europe. He prefers the title, VP in charge of FUN! A writer not – a 20 year enthusiastic fan of South Africa – you bet!